In this special report, we outline the best strategies for implementing and improving safety training, incentives and discipline, and safety leadership to improve safety culture. It will provide the baseline knowledge you need to limit your liability, comply with federal regulations, and drive safety success in your organization for your entire workforce. A recent survey in a report entitled Participation Counts: A Look at Participation-Based Safety highlights how safety leaders across a multitude of industries are encouraging employees to actively participate in workplace safety. The infographic provides insight into an emerging approach to EHS management, participation-based safety. Download the FREE infographic today! Discover new ways to develop your safety leadership skills and implement best practices to strengthen your team and build an excellent safety culture. Download the FREE infographic today! 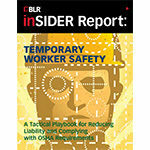 From helping you understand the latest OSHA regulations on temporary worker safety, to strategies for improving training and adherence to your company’s “safety culture,” this in-depth Safety Insider Report (a $299 value! ), will provide the knowledge you need to limit your liability, comply with federal regulations, and drive safety success in your organization for your entire workforce. The phenomenon of workplace violence, which has increased steadily in recent years, has been generating concern among employers. Employees, as well as supervisors and managers, have become all too frequent victims of assaults or other violent acts in the workplace, which entail a substantial risk of physical or emotional harm. 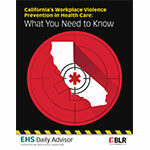 Take a step towards protecting your workplace with this free report. 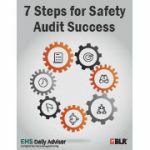 This report discusses the 7 steps you need to develop a safety audit program that gives results. 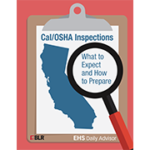 You’ll also get an interactive checklist to help you perform an audit at your facility.